Published in the January 1985 issue of Acorn User. 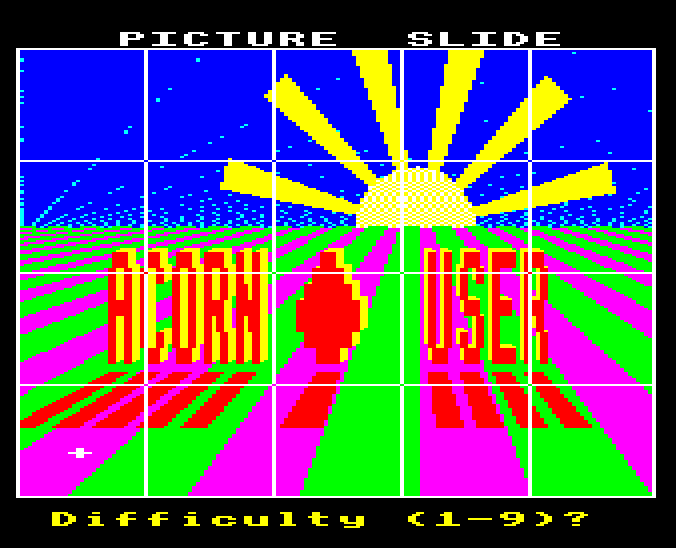 Published on the Acorn User games compendium tape in October 1986. The compendium comprises Spectramania, Quadline, Picture Slide, Maze, Acorn User Office Adventure, Shuggy's Garden, Run Silent Run Deep, and Adventure.